I've for years discounted the value of guitar and electric bass in jazz. 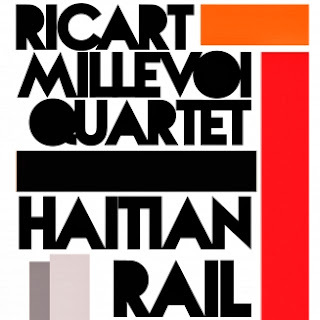 I'm taking a step back and rethinking now--but then again, Ricart and Millevoi don't exactly just play "jazz." They incorporate a world of New Music and instinctive catharsis into their works, and "Haitian Rail" is surely more than nine worlds in six tracks. Nick Millevoi has a history rich in the ways of Tzadik--not only did his ensemble Many Arms release a crushing album on Tzadik last year (really, go listen to that. The review will still be here when you come back. ), he's always delved unrestricted into the (frequently insane) music that suits him, never stopping to worry about "genres" and "traditions." He adroitly utilizes guitar fire from across jazz, avant-rock and shred, and the ultramodern to create a hesitation-free tapestry of sound. In 2011, he (uniquely) wrestled his fire from an electric 12-string for his solo work "Black Figure of a Bird." It really shouldn't be surprising that he's found a welcome spot with Dead Neanderthals on a European tour September-October 2013--I'm waiting eagerly to hear the madness that spews from that. Ed Ricart is something of the perfect co-leader for Millevoi. His textures (rumbling, frayed, thundering) suit Millevoi's electric fire, but the real key is his consistency in emitting coherent expressions no matter how he delves into techniques I don't know how to identify. On "Haitian Rail," he freely draws both from the heavy poundings of his noise rock work in Hyrrokkin and the looser flow and textures of Matta Gawa. 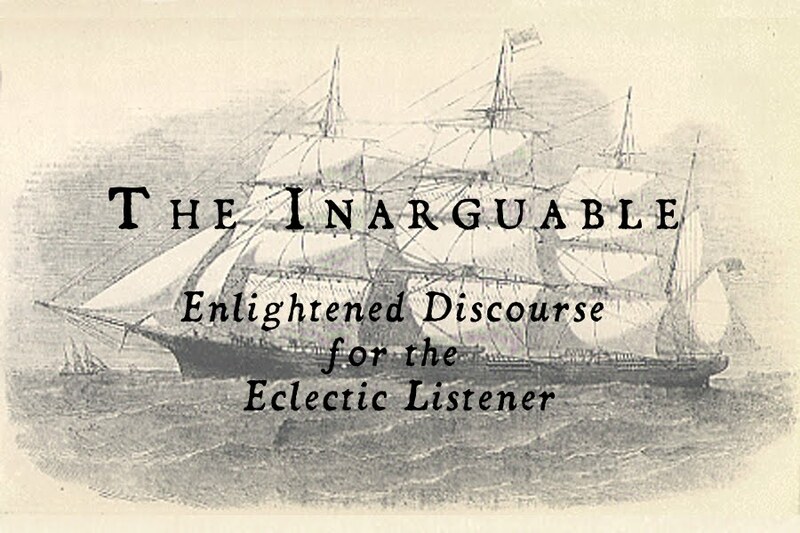 From New York ensemble Little Women's mind-devouring enigmas (again, the review will still be here) comes tenor saxophonist Travis Laplante. His work, especially solo (see his album "Heart Protector") is an outgrowth of his dedication to the spiritual immersion of his life. Through the help of circular breathing, he releases ceaseless transformations of wide-interval and timbre-only trills, sometimes bursting with multiphonics, in a way that reflects shamanic approaches to music through didgeridoo and throat singing, given new life in the world of New Music. Ches Smith's drums are familiar to many as what makes Marc Ribot's Ceramic Dog awesome. His heavy tom-centered syncopations shine even more with the greater flexibility and freedom of what is still essentially a improvisational group for Haitian Rail, and his sense of groove underlines Ricart's growling patterns with power and finesse. Want to hear every combination, texture, tempo, and stylistic reference these four could masterfully put to tape? Go get the album, then listen to it a whole bunch of times. I have yet to reach the end without feeling the need to go back and explore the beginning again. Reap the rewards of these labors. Labels: 2013, Free Jazz, Review, Ricart/Millevoi Quartet, V.